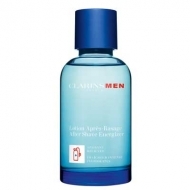 Soothes the redness, irritation and burning of shaving. 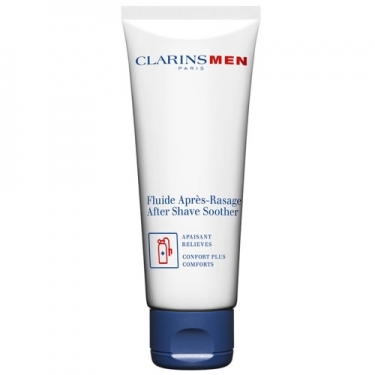 DESCRIPTION: ClarinsMen Fluide Après-Rasage from Clarins is a balm without alcohol that provides comfort, softness and hydration. After the attack of the blade, help your skin recover with purslane extracts of gotu kola and blue thistle of the Alps. Not oily. Total freshness sensation. Insist in areas weakened by shaving.